So, amidst dating rumours, actor-filmmaker Farhan Akhtar and TV presenter Shibani Dandekar went hiking in Vancouver. There's proof on both their Instagram accounts. 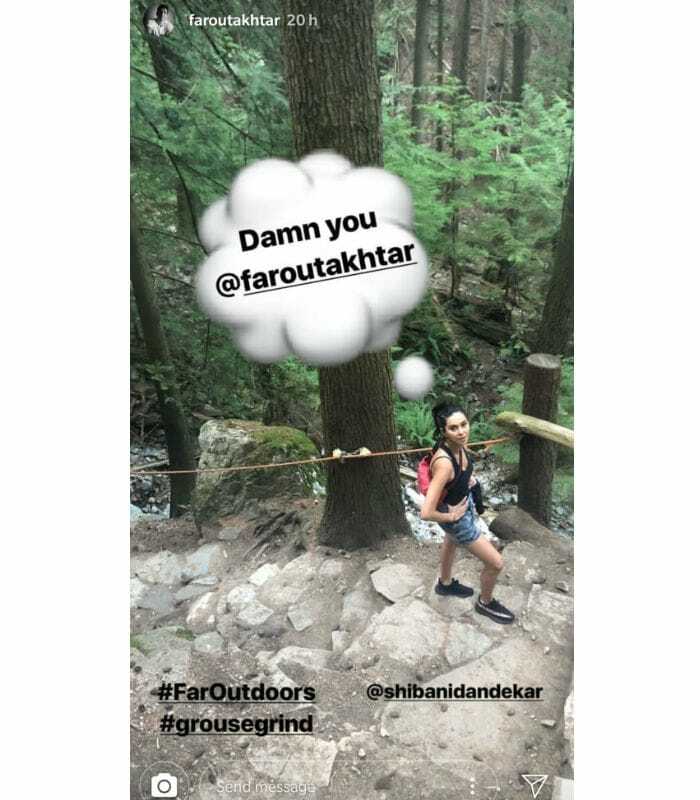 On her Instagram story, Shibani uploaded a photo on hers from a hiking trail and assigned photo courtesy to Farhan, who then recycled it to troll Shibani of sorts with his editing skills and a comic bubble. In the photo, Shibani looks like she's run out of breath and may have made a pit-stop while Farhan is ahead of her. And her expression is apparently one of "Damn you, Farhan Akhtar", as explained by the Dil Dhadakne Do actor. LOL. 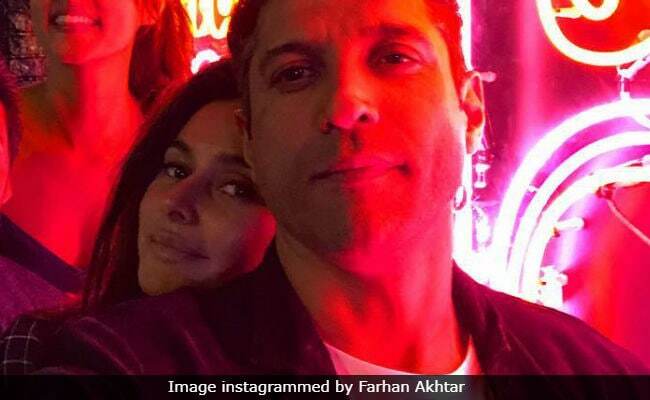 Over the weekend, Shibani Dandekar's Instafam appeared to confirm that the mystery man in one of her recent posts is none other than Farhan Akhtar, though there is no mention of him. "Wow its official then. So nice to see you both together" read a comment while another said: "If they're a couple then they're my favourite couple". 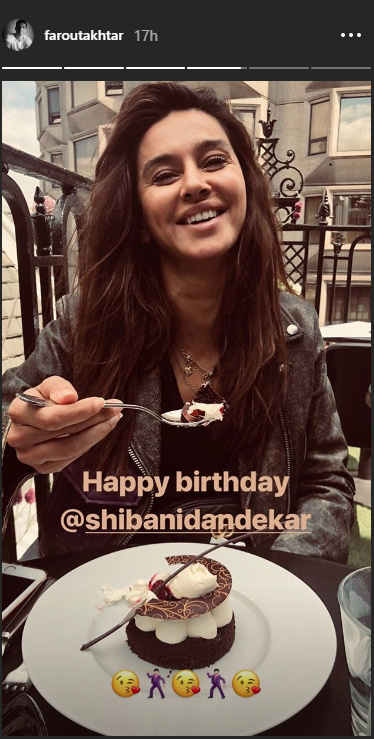 Farhan and Shibani and gossip pieces that they are dating took the top spot on trend's list after he wished Shibani on her birthday with an adorable photo of hers eating cake on his Instagram story. Earlier in August, when she was asked to address the speculation, she told SpotboyE: "I have no clue about this." Shibani Dandekar and Farhan Akhtar reportedly got to know each other after they interacted on the sets of TV show I Can Do That, which Farhan was hosting. Shibani who is the sister of popular VJ Anusha Dandekar, had joined the show as one of the participants. Last year, Farhan Akhtar divorced Adhuna Bhabani after 16 years of marriage. Farhan and Adhuna are parents to two daughters Akira and Shakya. On the work front, Farhan Akhtar is on board for Shonali Bose's The Sky Is Pink which also stars Priyanka Chopra and Zaira Wasim. Meanwhile, Farhan is all set to release his first single, titled RearView Mirror releases soon.